Originating by all accounts in Latvia, Belarus and Afghanistan, the latest scam sending ripples across the phone network is a worldwide operation. The perpetrators send short, curiosity-provoking, incognito texts to individuals requesting that they call back any of an array of fee-charging +371 numbers. was on business in Abu Dhabi using my overseas number and got this text from a +241 number, telling me to call immediately. naturally assumed it was one of our business partners as they can be quite direct in texts, so called back and just got this Arabic voice recording. all seemed a bit like spam and of course now I’ve googled it and found out it’s a scam, I’m wondering what my next bill’s going to look like. “Call me now plz, (international number)”, whilst looking suspicious to some, may look like a cry for help from others. Could this be a friend or relative who is currently on holiday calling in desperation from a callbox? Or an international colleague switching between phones? Roger Rabbit has helpfully reported the +371 prefix as a whole, citing a couple of the scare stories associated with the scam. The exact ins and outs of this ‘scam’ are not certain. Whilst some accounts say that calling the number back can rack up charges between $15-30 (country-dependent), it has also been suggested that this is a rumour stemming from a misinterpretation of instances of 15 rupee charges in India. 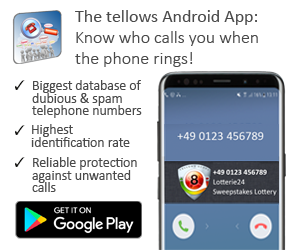 Other reports suggest that calling these numbers renders your mobile vulnerable to data theft; once again, other sources dispute this, refuting the claim that it is technologically possible to access phone information through a call. 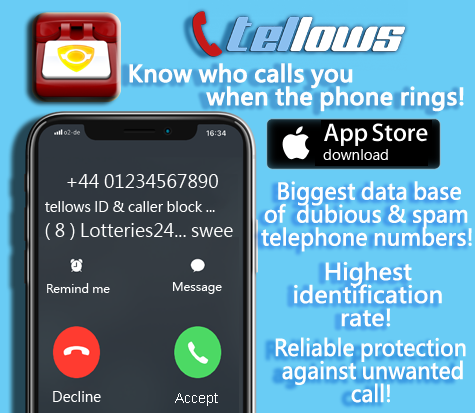 User Louise mentions that callers are known to ask for personal info, such as a bank account number – however, it’s unclear whether she was personally asked for her number, or has simply heard the same internet rumours. We’re not here to paint on the fingerprint dust; the information on tellows is comprised of user opinions. We therefore can’t conclusively confirm whether the above statements are rumours or solid fact. What we can tell you, is that from what you’ve told us, you can be relatively sure that nothing good will come from calling these numbers back! Don’t be fooled, always think twice, keep posting comments on those numbers and take care. 070 Mobile numbers are used for forwarding calls on your landline or mobile.070 number is a virtual number through which you can hide the actual phone number being called. It’s actually a nice and useful piece of information. I am happy that you simply shared this useful info with us. Please keep us up to date like this. Thanks for sharing.